A recreational class for bikes/rigs/scooters and 1 to 4 dogs (one mile). 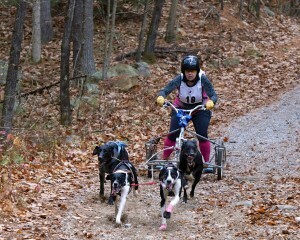 Race fees are as follows: $40 for 8-dog rig (ISDRA fee included); $35 for 4- and 6-dog rig, 1- and 2-dog bike and scooter, and canicross (ISDRA fee included); $10 for 3-dog junior; $5 for 1-4 dog recreational. 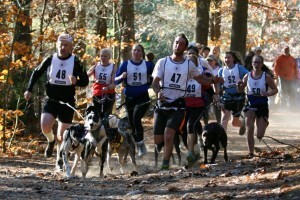 Dogs may only run in one class, with the exception of the canicross and recreational classes. Check in will open at 8 am. Please drop off forms and fees and pick up bibs at this time. There will be NO onsite registration for the race. There will be a mandatory drivers’ meeting at 8:30 am. The first class is slated to start at 9 am.